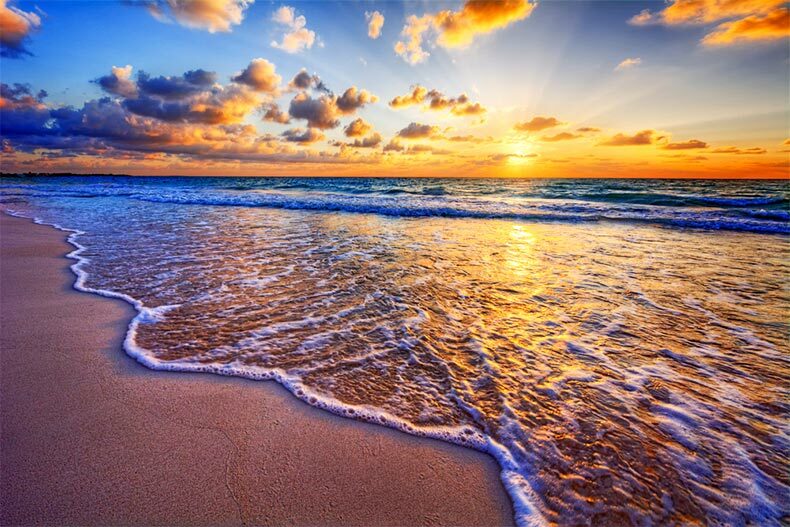 An affordable, oceanside retirement is possible in Florida. Florida, in general, is an affordable place to retire. There are no state income taxes, housing prices are still relatively affordable, and general cost-of-living incidentals such as gas, groceries, and recreation are economical. You certainly won’t have a high heating bill in the winter. When you’re looking for a cost-effective retirement destination in Florida, these are the best 10 areas for you and your budget. Active adults looking for lush forests, accessible golf, and gently sloping hillsides dotted with horse farms should consider the Ocala area. This Central Florida paradise offers low-cost living that’s also beautiful. 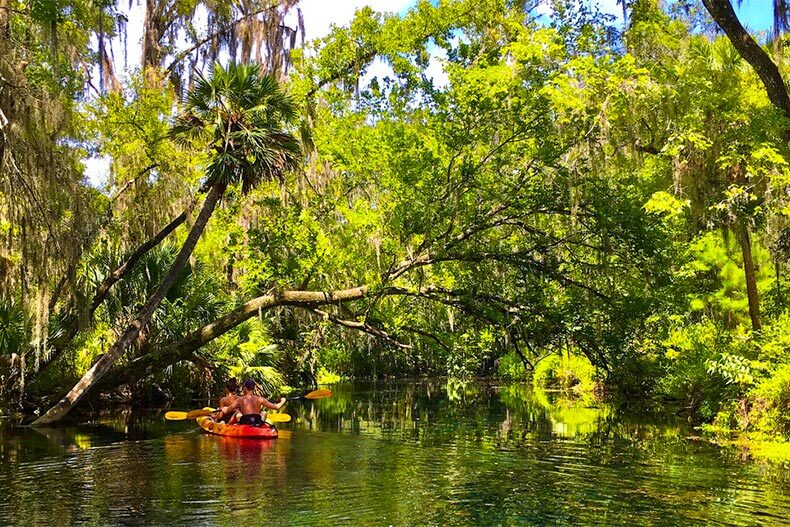 Swim in some springs, take horseback riding lessons, and explore a lot of the local area in Ocala. Ocala National Forest for hiking, biking, and camping. Silver Springs State Park for glass bottom boat rides. Less than an hour to Orlando, and about 90 minutes to Tampa and St. Petersburg. Plenty of 55+ communities in Ocala have homes starting at less than $100k. Try Palm Cay, Cherrywood, Spruce Creek North, or the popular On Top of the World. A growing Central Florida area that has maintained its affordability is Lakeland, which is right along the Interstate 4 corridor between Tampa and Orlando. Active adults have a lot of good reasons to live here, especially if economics are a priority. Lakeland is all about culture and art, with regular poetry readings, exhibits, and unique dining experiences in the quaint and historic downtown district. Spring training facilities for the Detroit Tigers. More alligators than you can count at Circle B. Living in Lakeland can mean a 55+ community with low price tags and lots of amenities such as Cypress Lakes, Foxwood Lake Estates, and Sandpiper Golf & Country Club. Jacksonville has a milder climate than most of Florida. 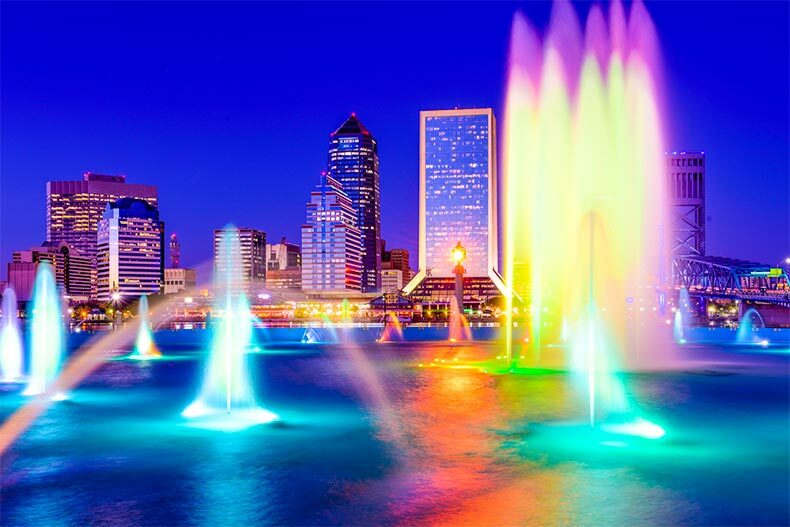 As the largest geographical city in Florida, Jacksonville offers a lot of options for retirees who want sun, sand, and self-care on a budget. Some of the best hospitals in the state are in Jacksonville, and there’s professional football, a thriving riverfront full of shops and restaurants, and a plenty of public beaches that are great for surfing, boating, and sunning. Thousands of plants and animals at Jacksonville Zoo and Gardens. Mayo Clinic’s Florida campus is one of the best in the nation. Waterfront food and fun at Riverwalk Jacksonville. Jacksonville and the surrounding areas have new and established 55+ communities to consider when you’re shopping for a retirement home. Try Freedom at Arbor Mill or Sweetwater. Good news – you can retire to a beach city in Florida while staying on budget. Daytona Beach on Florida’s Atlantic Coast provides affordable housing, lots of coastal activities, and a front row seat for the famous Daytona 500 NASCAR race. It includes easy access to Interstate 95 and an international airport for frequent fliers. Races, events, and tours at Daytona International Speedway. The beach, including a boardwalk and pier that’s been around since 1938. Delicious seafood that isn’t fancy or expensive. Try Bay Street Seafood Market and Deli or The Oyster Pub. Where would you like to live in Daytona Beach? Some great 55+ communities are looking for new residents, the most famous being Latitude Margaritaville, which has floor plans and options for many budgets. Other affordable Daytona Beach homes can be found close by at Halifax Plantation and Ormond Renaissance in Ormond Beach. The University of Florida is one of the best public universities in Florida, and it’s found in Gainesville, one of the most affordable parts of Florida to retire. There’s a lot of nature in this area of Central Florida, and excellent small towns that are worth exploring. If you’re looking for a quiet and scenic place to spend your retirement, grab your UF Gators gear and settle into Gainesville. Paynes Prairie and its wild horses and buffalo. Southern small towns like Archer, High Springs, and antique shopping in Micanopy. With most of Gainesville’s downtown housing taken up by students, consider looking to the surrounding areas for affordable and comfortable housing. Trilogy at Ocala Preserve is about half an hour south of Gainesville off Interstate 75. Ocala Palms is also close, and homes in this 55+ community start in the low $100s. The Tampa Bay area, including St. Petersburg and Clearwater, where residents love living on the Gulf Coast. Professional sports, outlet shopping, and perfect sunsets are the high points. The Fort Myers/Cape Coral area with beautiful beaches and spring training baseball. If you love seashells, this is the place to pick them out of the white sands. Melbourne, which is close to Fort Lauderdale, West Palm Beach, and even Miami. Grab a cruise from the nearby port or enjoy one of the many public golf courses. Orlando and Kissimmee which is about so much more than the theme parks. There’s also some excellent shopping, unique hiking trails, and a vintage amusement park in Old Town. Punta Gorda is a quiet seaside enclave that offers luxury living at affordable prices. You’re close to Sarasota and several islands and keys. Fishing and boating are the most popular pastimes.